Team Envy are the only undefeated squad remaining this weekend. The first day of the 2018 Call of Duty World League Seattle Open was filled with upsets and intense matches—and Saturday followed suit. Pool play just wrapped up in Seattle, and the open bracket teams had a major impact on the final standings. It’s extremely rare for a team to survive the open bracket gauntlet and then proceed to play well in the group stage—but that’s exactly what Lightning Pandas, Enigma6, and Ghost Gaming did on Saturday. All three of these teams came out of the open bracket to qualify for the championship winners bracket at CWL Seattle. Here are the final pool play standings at the 2018 CWL Seattle Open (each team’s series record is followed by their map count in parentheses). 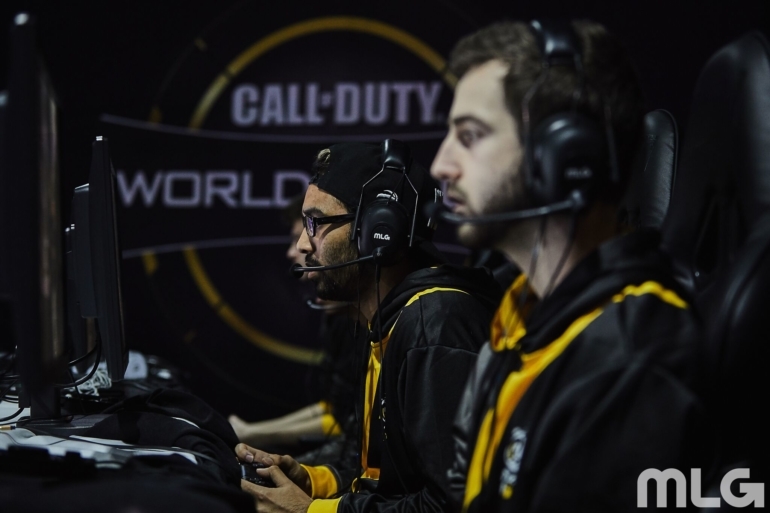 CWL Seattle has been one of the most unpredictable tournaments so far in WWII. After Echo Fox went 3-0 on Friday, Lightning Pandas stormed into group play and took the top spot in Pool A. Enigma6 also went on a hot streak to secure first place in Pool C, with eUnited right behind them. Team Envy, the only remaining undefeated team in Seattle, locked up the top seed in Pool B, while Ghost Gaming upset OpTic Gaming to take second place. Team Kaliber shockingly lost to EZG Blue on Saturday, but they still secured the top spot in Pool D thanks to the head-to-head tiebreaker against Evil Geniuses. With all of these upsets, the losers bracket at CWL Seattle is absolutely stacked—FaZe Clan, OpTic, Luminosity, Rise Nation, Splyce, and Red Reserve will all have to battle through the losers bracket. The championship winners bracket is now set, and there will be a ton of great matches later tonight. Lightning Pandas vs. eUnited and Team Kaliber vs. Ghost Gaming will take place in the top half of the bracket, while the other side consists of Enigma6 vs. Echo Fox and Team Envy vs. Evil Geniuses. CWL Seattle isn’t over for today, however—the championship winners bracket kicks off with Team Envy facing off against Evil Geniuses right now.